What a stunner! 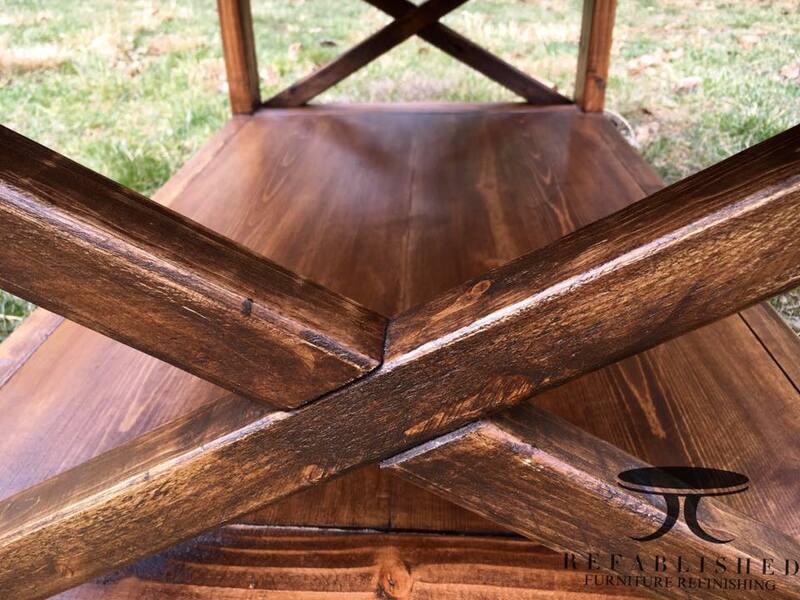 Refablished stained this beautiful coffee table in General Finishes Antique Walnut Gel Stain. "This is one of my absolute favorite pieces yet! This table was custom built-to-order. 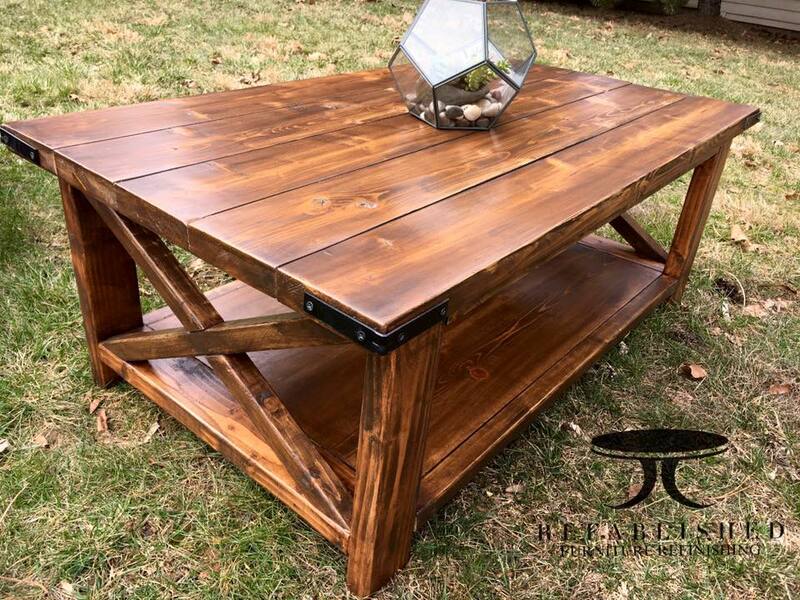 I got a request for this exact design with specific dimensions, and since I didn't quite have all the tools I needed to make it myself, I contacted a local furniture maker, Chase Honeycutt. 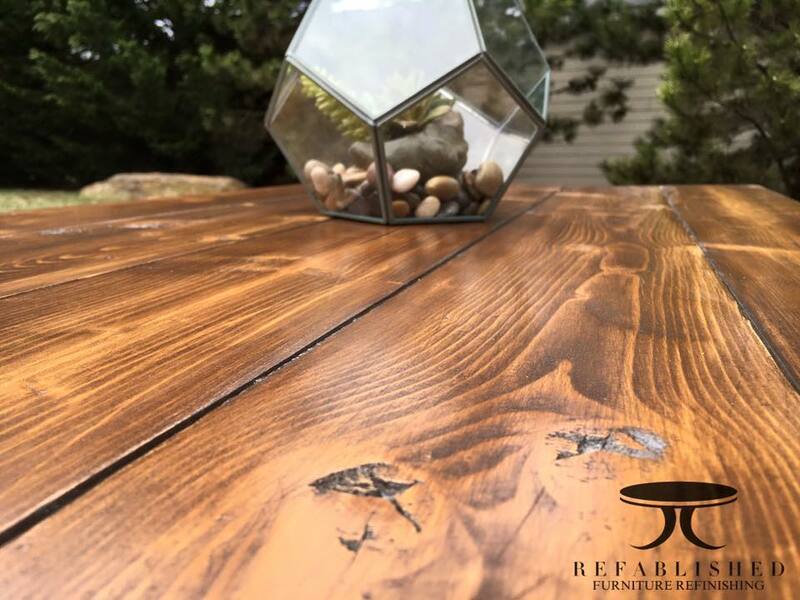 He built the table, then I sanded, stained and finished it! I love this rustic style, and I added some corner hardware to give it a bit of an industrial edge. I used General Finishes products; I love their rich stains and top coats." Always seal Gel Stain with Top Coat! We recommend using Arm-R-Seal, Gel Top Coat or High Performance Top Coat. 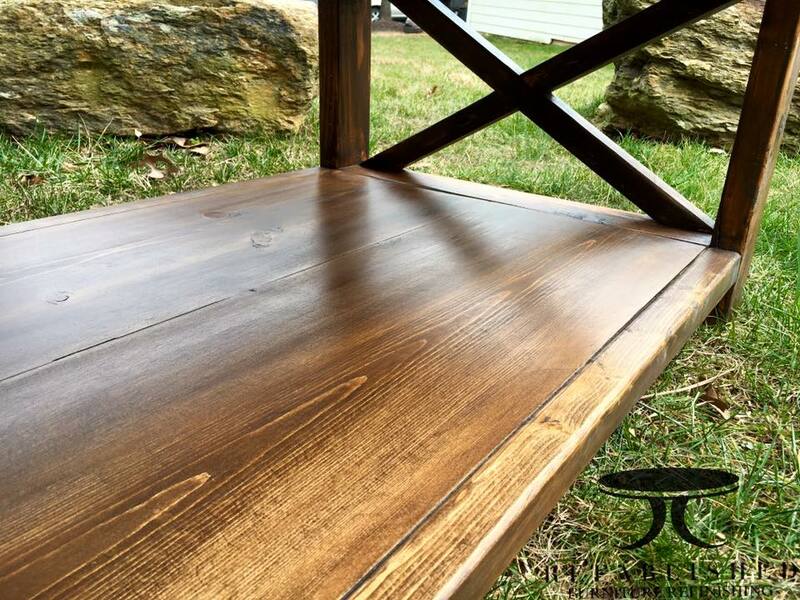 Let Gel Stain dry a minimum of 72 hours before applying High Performance Top Coat.